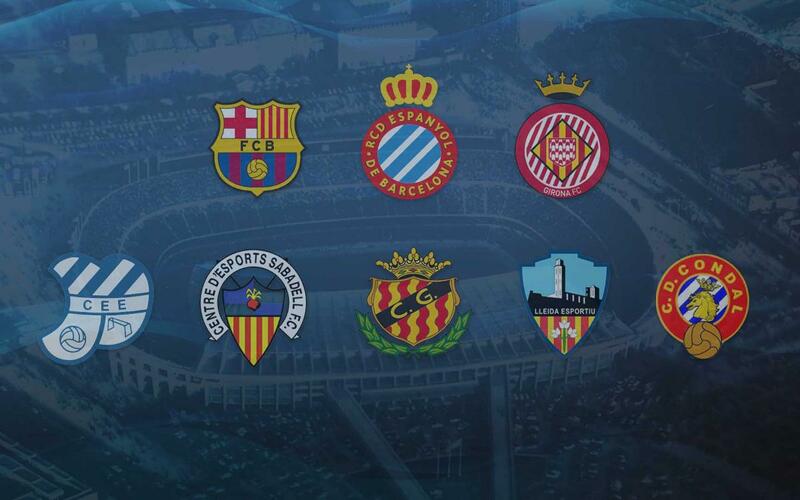 FC Barcelona and RCD Espanyol are a regular feature of the Primera División, but other than this Saturday's opponents, which other clubs have represented Catalonia in the Spanish top flight over the years? This Saturday at 8.45pm CET, FC Barcelona will be making the short trip north to Girona to face the Catalan club that is playing in La Liga for the first time ever. It’s going to be a very special occasion. Local derbies are commonplace against RCD Espanyol, who have featured in all but five seasons of the league since it was first contested in 1928, but the presence of other teams from Catalonia in the top flight is something of a rarity. The club from the Barcelona neighbourhood of Gràcia currently play in the third division, but are still immensely proud of the fact that they were one of the ten founder members of La Liga way back in 1928. In the 1920s they had been Barça’s strongest rival in the Catalan championship but they struggled at the higher level and in their third season were relegated, never to return. With their iconic blue and white quartered ‘harlequin’ jerseys, other than the ‘big two’, Sabadell is the Catalan club that has played the most seasons in La Liga, fourteen in total over four separate spells. Their highest ever finish was fourth in 1969, but it’s been three decades since they last appeared among the elite. They now play in Division 2B. When they first experienced top flight football in the early fifties, the ‘firmlanders’ conceded an average of over four goals a game and went straight back down. They made it back for a single season in 93/94, and not only beat Real Madrid but also famously defeated the Dream Team 1-0 at the Camp Nou. None of those heroics were enough to save them from relegation and they’re now back in Division 2B. This is a most peculiar case. Originally called CD España Industrial and based around a factory of the same name, the club was effectively the FC Barcelona reserves and played their games in the same Les Corts stadium. For that reason, they were refused entry to La Liga when they won promotion in 1953. To avoid the same fate in 1956, the club severed its links with FCB and adopted its new name in order to play one season in the first division. They finished bottom of the table and in 1970 were merged with Atlético Cataluña to become the modern-day FC Barcelona B.
Nàstic has a claim to being the oldest club in all of Spain. But although the sports society was founded way back in 1886, there is no record of it playing football until many years later. They played in the first division for three seasons in the forties, finishing as high as seventh in the first of those, but being on the wrong end of Barça’s biggest ever league victory, 10-1, in the season they went down. Until Girona’s promotion this year, the maroons were the only Catalan club apart from FCB and Espanyol to have played in La Liga this century when they reappeared for a single campaign a decade ago.